Cristiane Madureira is a Business Consultant, Serial Entrepreneur and Business Coach. 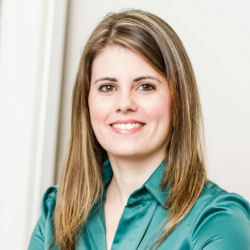 She has worked with small businesses and startups since 2005, helping entrepreneurs achieve their business goals in a variety of ways (diagnostic, strategic planning, implementation, and control, finances, loan analysis, processes, team management). Originally from Brazil, she speaks Portuguese, English, and is currently studying Spanish. She has a Bachelor's Degree in Business Administration from Universidade Estácio de Sá in Belo Horizonte, Brazil. Cristiane currently resides in the Washington, D.C. area.